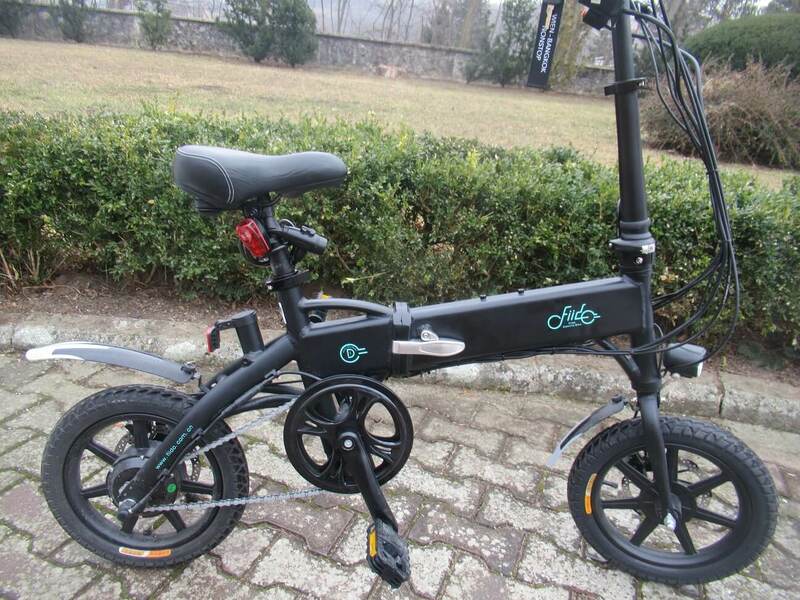 I had the opportunity to test the folding electric bicycle Fiido D1, in the review you will describe advantages and disadvantages of the product, all the technical parameters where and how to get it. 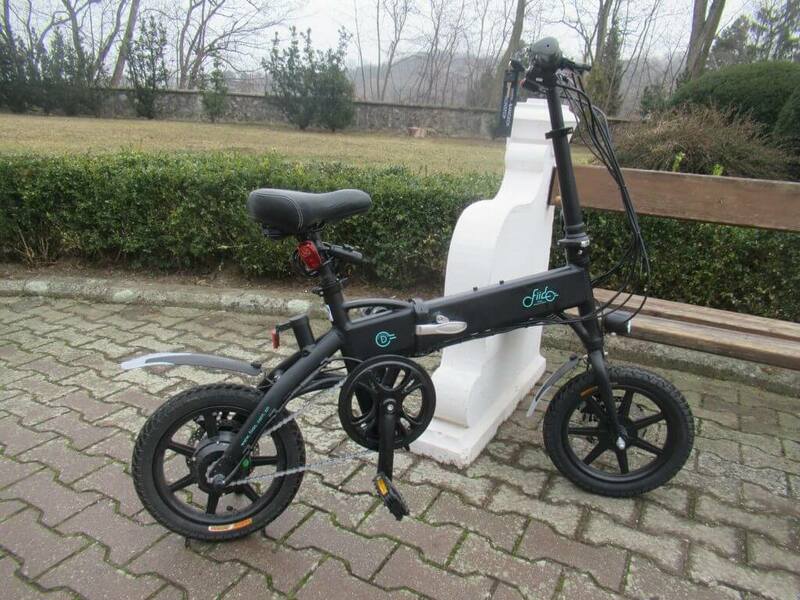 The FIIDO folding electric bike has proper Li-ion battery in the frame, it is probably the biggest hidden plus, and another plus is that it can be folded into a small car case weight is 18kg so you can also carry a handful if needed. 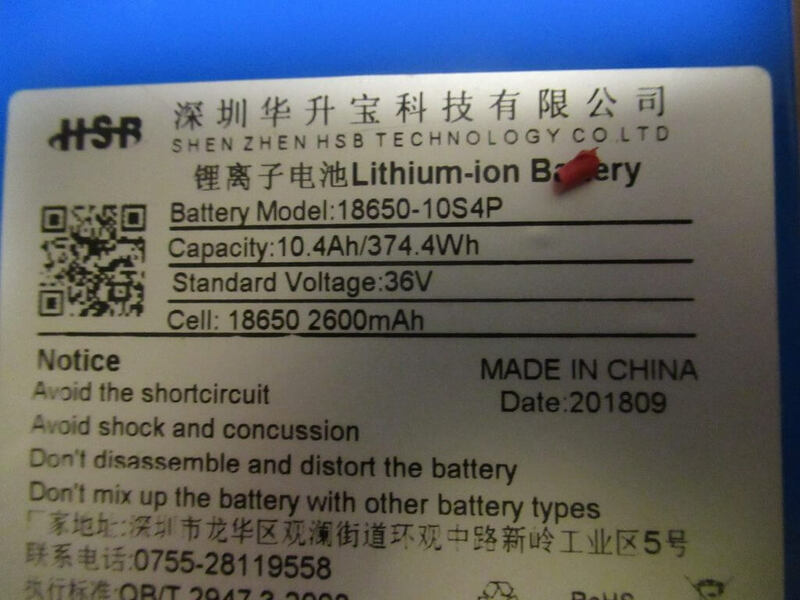 The charger is 2A and the rechargeable Li-ion accumulator could be shorter they could give the 4A charger cells in the accumulator would certainly handle the same lifetime. 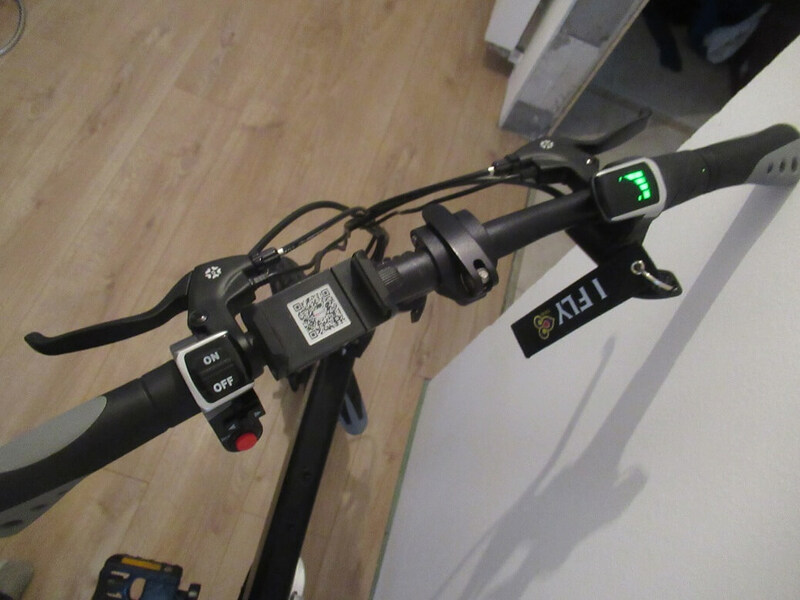 The display is just a battery status indicator here could show speed and time, you can solve it with a smartphone for it holder, on the contrary, pleased disc brakes and quality welds on a robust construction. What is the distance range? 40km on pure electric engine … for 7.8Ah Li-Ion it does not reflect reality well. 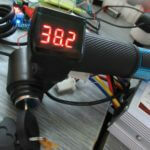 I tested many Li-ion akus and average range was 30km / 10Ah by plane on pure eletric. 7.8Ah has 25km distance range. 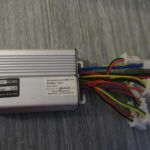 As the practice has shown the best way to turn out to be “from what is the way” only when the electric bike is disassembled specifically model FIIDO D1 I solved the charging connector on the battery (nothing fatal, the error caused by the user). 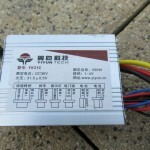 The battery has a BMS protection circuit for overloading and overloading, discharging the battery and also balances the cells in the battery. Battery Articles I have seen “pink” (I didn’t want to rip the battery pack) about samsung ones are used often. 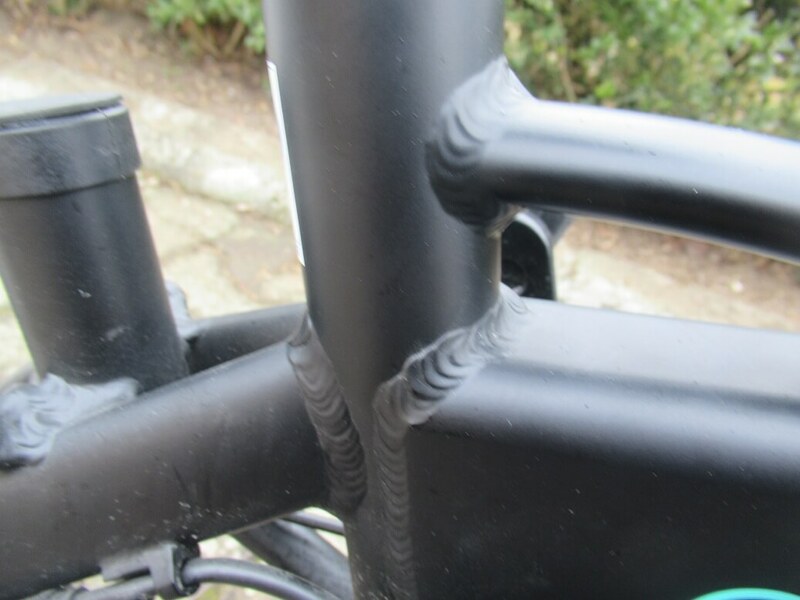 The joints of welds and grips are OK are massive so the manufacturer should stand 120kg, I tested it 110kg everything kept as Ok, wiring is OK.
Controls are simple, basically just a driving mode switch, or an electric drive is supposed to assist in pedaling or you want to use FIIDO as a motorcycle speed you control with a throtle as motorbike. Front handlebar with rod can be folded .. fine. The display is nice showing the status of the battery but knows only that, it can compile the holder with USB power for the cell phone in it through the app you can monitor speed and under. 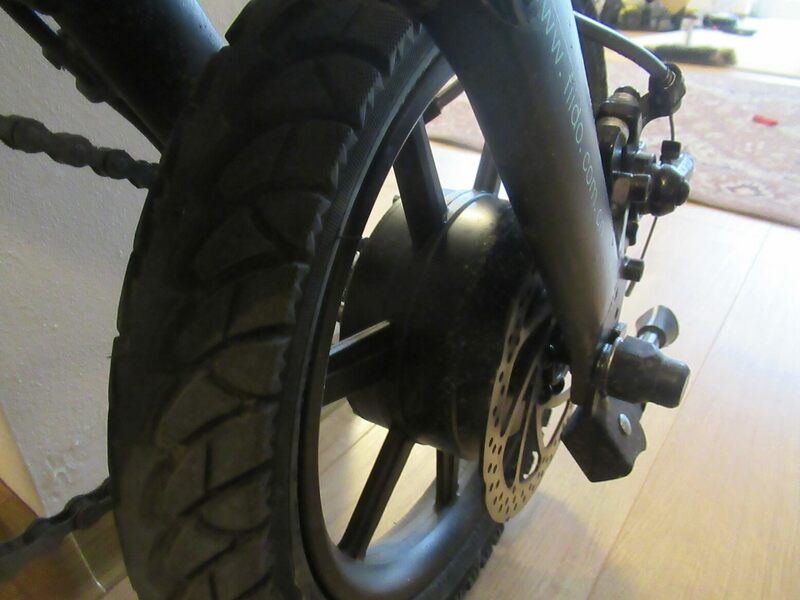 The drive provides the HUB engine in the hub brand I have not seen any… is generic production, the engine is of course brushless as they have an electric bicycle. Both wheels 14 “has disc brakes which is good. 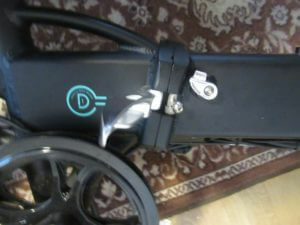 Your power in pedals transfers 1 gear, FIIDO D1 has no derailleur but it is fine tuned, we tried it too (see video) FIIDO has good power even though I personally recommend him as a city electric bike well manages hills 5% climb and so on. My driving experience is very positive FIIDO does what it has easy to operate I felt comfortable, pedaling was OK. 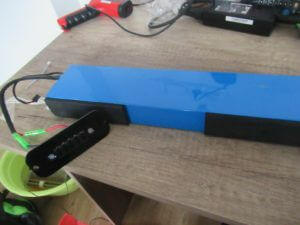 In the 450usd price that is sold at Gearbest, it is a good product with performance and can be even the more expensive electric bike ideal for people in the city who want to bring the electric bike to the apartment after the ride, easily folds up and takes up little space. I personally like this concept of folding electric bike because I load it in the trunk of the car and 2-4 pieces bring it to the neighboring town and run there – everything, without fatigue. Can you post photos of the controller? Is there any soft to reprogram / adjust limits?